A few weeks ago, I became aware that my (now old) website had been hacked. It wasn’t just a little hack- it was crippling and widespread, and our options were limited and expensive. I don’t want to take up your time or my space here to explain all the details, but I do want to give praise to God, Who makes all things new when things look bleak, and Who is a God of miracles. Our team watched as what looked like a wall we couldn’t get around soon cracked, and a door we never expected opened up to us. Suddenly we were excited about this major bump, and we could see clearly how God was working. What is the new web address (domain)? It is the one you are currently at: www.hopeforpastorswives.com Don’t you love it?! I’m thrilled that when pastors’ wives type in their discouraged and hopeless search terms, this beacon of hope will pop up and meet weary eyes and hearts. What will happen to Embracing Grace as we’ve known it? It will fade into oblivion. I may or may not keep the domain name, but there will not be any new content available. Why are we disassociating from Embracing Grace for good? Two main reasons: One reason is that, due to the nature and size of the hack, we decided it was wise to no longer have activity at that web address. Our articles were shared on some ungodly sites, and many thousands of files were corrupted. But running underneath those two reasons is the reason that I must follow the calling that God has given me, and that requires a narrowing of my audience. Was any of my information compromised in the hack? As far as we know, no personal information (other than mine) was compromised or stolen. Some of you had let me know that you were getting spam from links on my FB page and from emails. What I thought was a cell phone pop up or just a simple need to clear browsing history was indeed a hack and there was spam coming from my site. I apologize for this, and am grateful for those who let me know what they were receiving. The old site has been cleaned up and is currently not a threat. What about the Embracing Grace Facebook page? I’m in process of trying to convince Facebook that changing my name does not violate their policies. Right now both names are still there, but hopefully soon we will transition fully into our new name. 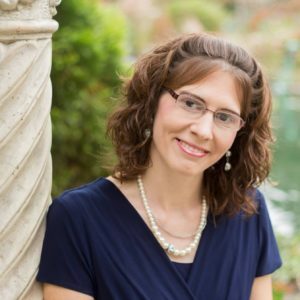 I’ve been encouraged by some people in recent months and years to broaden my audience instead of narrowing it, but the more I see the need and see God working and blessing this endeavor to encourage pastors’ wives (through the blog, private groups, and conferences), the more I am absolutely constrained to write for who I’m passionate for. Most of my readers have probably noticed that my writing and FB sharing more and more applies to pastors’ wives, and that will be the main difference you will see here on this new site- all of our content will be geared toward pastors’ wives specifically. I’ve been using the hashtag #hopeforpastorswives for awhile now on my FB page, so it seems natural to transition into a page devoted specifically to that purpose. How can I contact someone if I have more questions? Right now I still have my same email address – Leah@embracingrace.com. You may message me there or through FB with any additional questions. 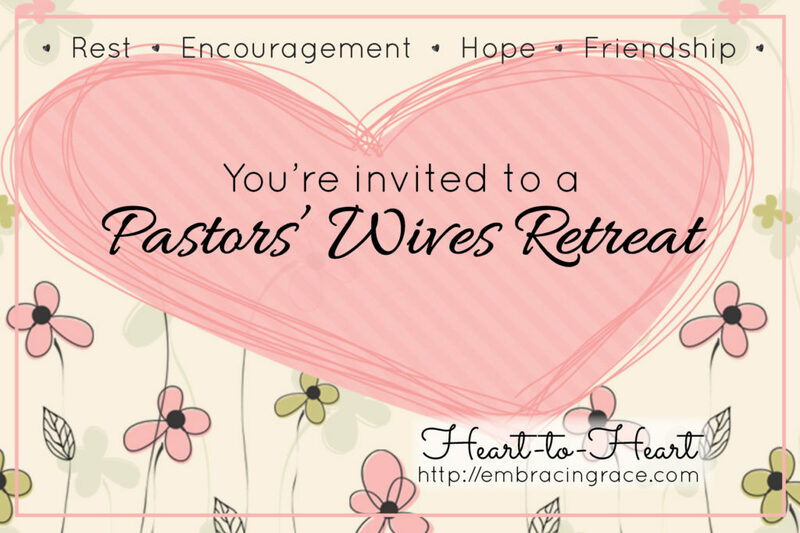 We have several new email addresses that will direct pastors’ wives to different areas of need (conference, counseling, joining a support group) but they are not yet integrated into our new site. Please be patient with any glitches you may experience. Changing a 7 year online “paper trail” has proved to be an enormous task and I’m continually finding things behind the scenes that need to be changed over. The site is functional but not perfect yet. Many of our images still contain the Embracing Grace web address and will take awhile to change over. Thank you for understanding and we are happy to answer any questions you may have. A BIG THANK YOU to so many who support our ministry through faithful prayer, financial giving, donations for our conferences, and encouraging words. Your care is making a difference in the lives of pastors’ wives around the world, and we are excited about this new door of opportunity that God has opened for us!